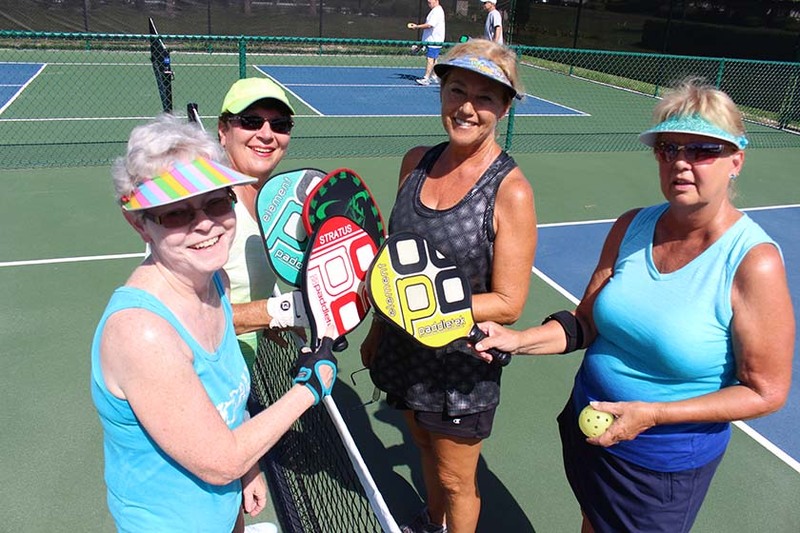 Pickleball is a big draw for active adults in Kings Point. 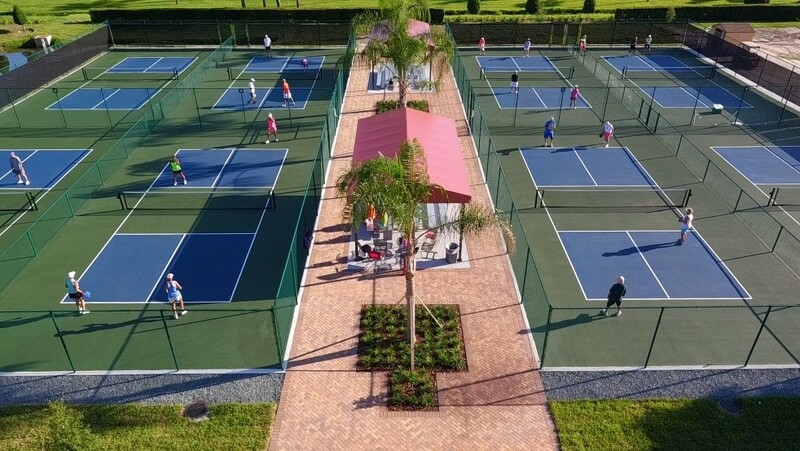 Just about any morning you can hear the balls hit the paddles on the Pickleball courts as residents gather for their morning workout. 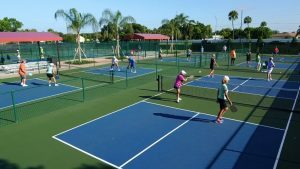 Pickleball is enjoyed by people of all ages and athletic abilities thanks to its ease of play and straightforward rules. 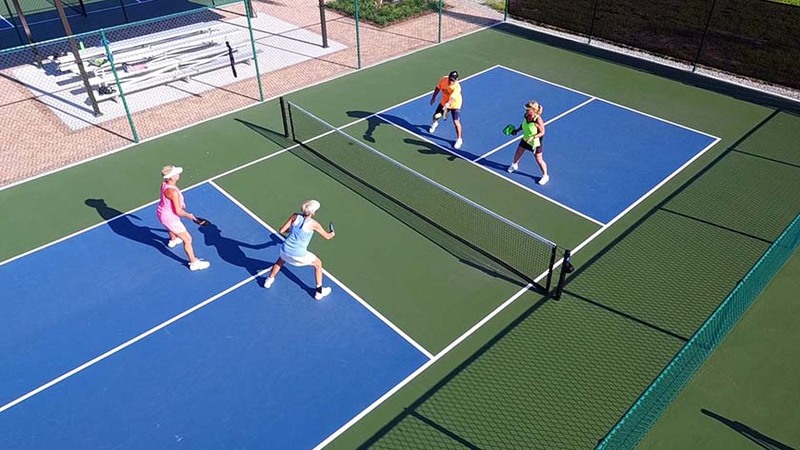 The sport is inexpensive, social and healthy, and has been widely accepted in many active adult communities across the country. It combines elements of badminton, tennis, racquetball and table tennis. 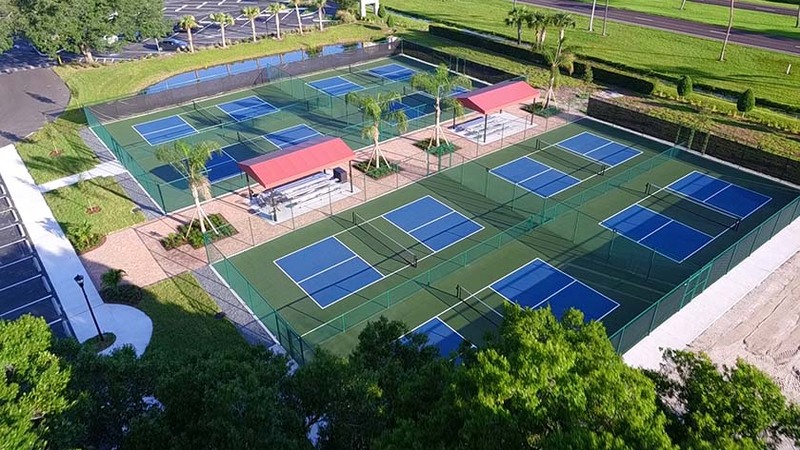 Equipment consists of a solid paddle of wood or composite material played with a whiffle ball over a 36″ net on a court smaller than a tennis court. The rules are simple and the game is easy for beginners to learn, but can develop into a quick, fast-moving competitive game for experienced players. 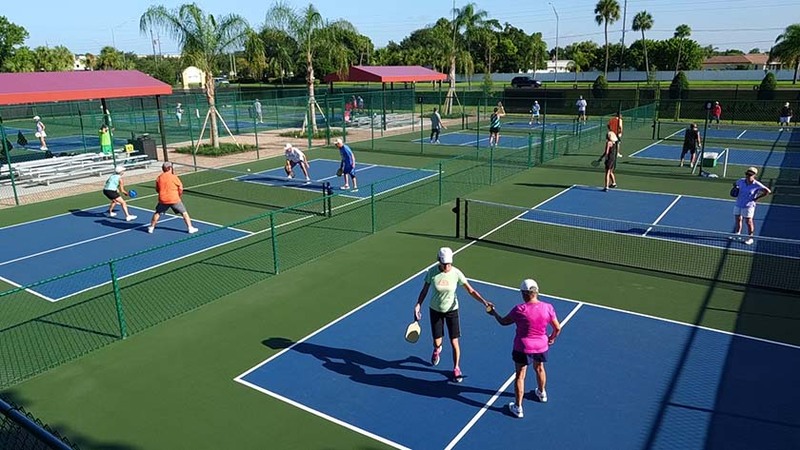 Pickleball is traditionally played on a badminton-sized court: 20’ x 44.’ The ball is served diagonally (starting with the right-hand service-square), and points can only be scored by the side that serves. 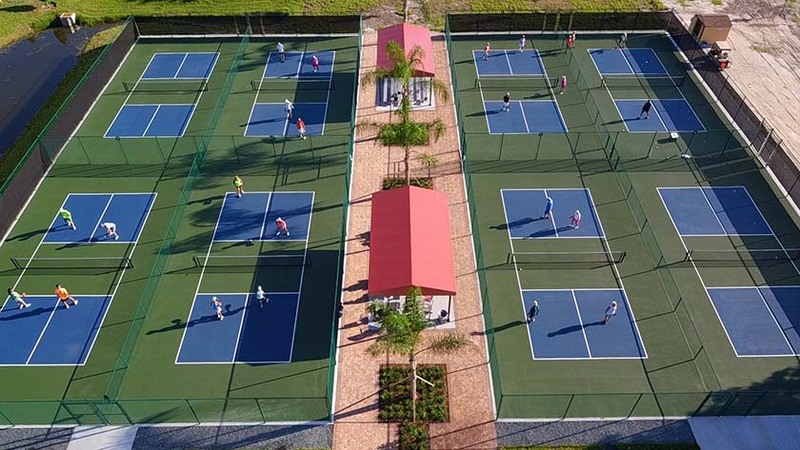 Players on each side must let the ball bounce once before volleys are allowed, and there is a seven-foot no-volley zone on each side of the net, to prevent “spiking.” The server continues to serve, alternating service courts, until he or she faults. The first side scoring eleven points and leading by at least two points wins. 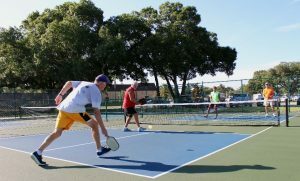 Pickleball can be played with singles or doubles. I’m a newbie, do you offer lessons? The Kings Point Pickleball Club offers “Introduction to Pickleball” clinics. 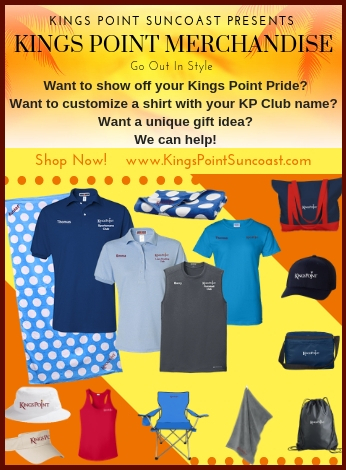 You do not need to be a member to participate but must be a resident of Kings Point. All residents may take one introduction class. The Club introduced over 100 residents to the game of Pickleball last season. The game was created in the summer of 1965 on Bainbridge Island, Washington at the home of then State Representative, Joel Pritchard. He and his two friends, Bill Bell and Barney McCallum attempted to set up badminton but could not find the right equipment so they improvised with paddles and a Wiffle ball. The sport was named after Pritchard’s family cocker spaniel, Pickles. Pickles chased stray balls and then hid in the bushes, so they named the game after him.